When he’s not catching a nap with his bulldog, Rickles, Sean can be found headlining clubs and festivals all over the country. He has appeared on The Late Show with David Letterman, Conan and NBC’s Last Comic Standing. 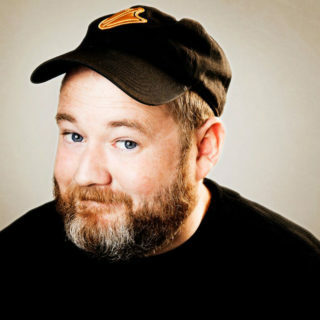 Sean hosts the podcast Defend Your Movie and the Sirius XM show, Celebrate, and he released his debut comedy album “Manual Labor Face” in 2015 on Comedy Central Records. Sean has been featured on the truTV series World’s Dumbest, Comedy KO, and Almost Genius as well as Adam Devine’s House Party, @midnight, The Half Hour, Broad City, and Inside Amy Schumer on Comedy Central, Amazon’s Alpha House, GSN’s Lie Detectors, and Limitless on CBS. Sean currently resides in Queens, NY.